We will arrange free delivery within Cornwall for orders over £150. For orders below £150 see table below. 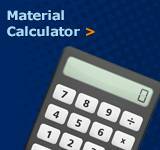 Delivery prices shown are exclusive of VAT. Orders are processed and deliveries undertaken during working days only. Working days are Monday to Friday and do not include Saturdays, Sundays or bank holidays. 3 day deliveries may be delivered sooner. 3 working days does not include the day of despatch. If your delivery charge shows as £0.01 then this is not the true cost and there will be more to pay. This is because certain outlying areas of the UK are priced on application by our couriers and therefore our website is unable to calculate the cost at the time of the order. We will contact you with the actual delivery cost and to take payment of the additional costs. 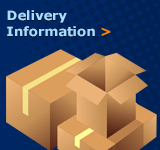 CFS use specialist carriers to deliver your items. It is your responsibilty to ensure that someone is present at the delivery address to sign for your order. Instructions can be given for smaller consignments, in most cases large orders cannot be delivered without signature. 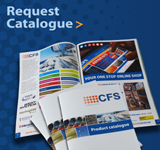 Please call CFS Sales 01209 821028 to confirm your order can be delivered without signature.